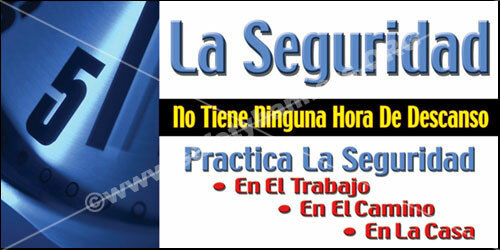 Spanish and Bilingual Safety Banners for American industrial facilities. CLICK HERE for all our safety floor stickers. 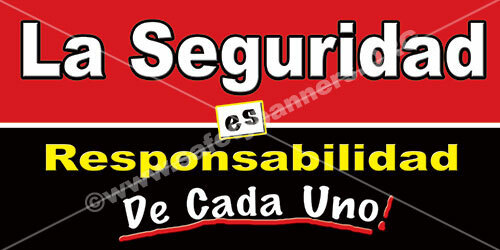 Spanish and Bilingual Safety Banners are becoming an increasin g need for the labor force in America. With a growing population in Mexican, Latino and South American immigrants the need to be sure the Spanish speaking members of your work force are able to read safety banners and poster is crucial to safety awareness. 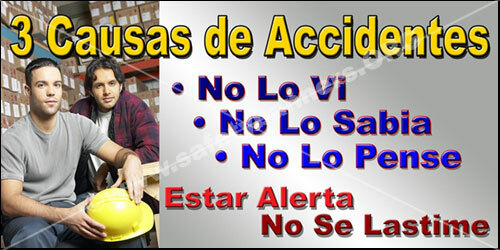 The Spanish banners that are offered by www.safetybanners.org will help to break the language barrier that some of the spanish speaking employees may have and insure that they too are acting safely. 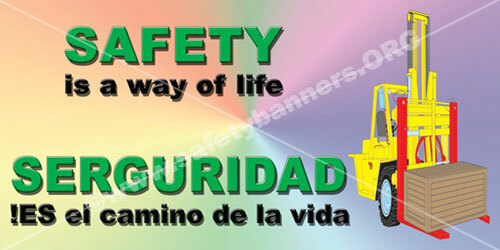 www.safetybanners.org offers a wide array of spanish safety banners and posters that will help to improve your work environment. Constant diligence is required of facility managers whose responsibilities include ensuring that facility safety signage is frequently assessed, kept current and replaced when necessary. SafetyBanners.Org safety signs are built for long lasting interior and exterior durability. Bilingual signs help you avoid accidents and injuries. SafetyBanners.Org offers a wide variety of designs that will keep you OSHA compliant and protect your employees from dangerous accidents. If you cannot find a design which fits your needs, give us a call or send us an email with your specifications and we will put something together to fit your needs. When you expect the best, SafetyBanners.org delivers.